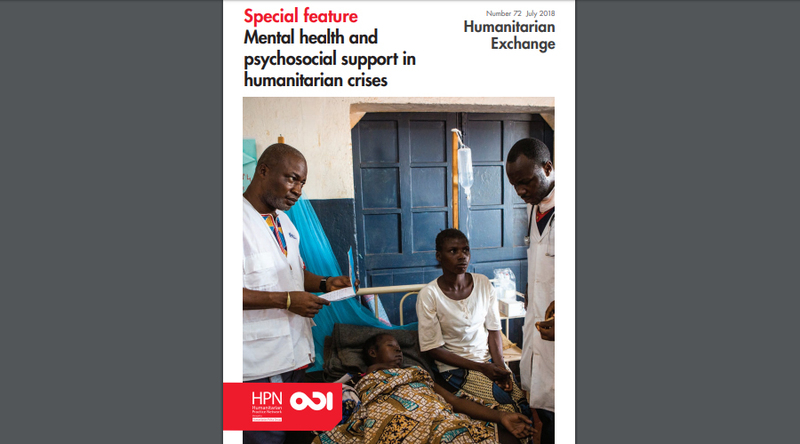 Médecins du Monde (MdM) contributed to the 72nd edition of Humanitarian Exchange magazine, issued in July 2018 with a special focus on mental health and psychosocial support in humanitarian crises. Joining their efforts, Marie Darmayan and Dia Abou Mosleh, mental health Coordinators from both MdM Iraq and Lebanon missions, wrote a joint article entitled: “Supporting mental health care provision in Lebanon and Iraq”. They exposed challenges and opportunities they face in the field, while taking into consideration the context of the respective countries. The article also reflects MdM’s experience in these two crisis-affected countries as a first response to the people’s immediate mental health needs and as a future long-term program, in terms of advocacy, by working closely with all stakeholders in order to build a national framework to ensure sustainability. In addition, Patricia Moghames, MdM Field Work Coordinator in Lebanon for research studies in collaboration with Queen Mary University of London, also contributed to this special edition. High-quality research on the mental health needs of Syrian refugees should play an important role in planning and providing services, yet conducting mental health research to a high standard in a refugee setting is particularly challenging. The article, entitled “Mental health research among Syrian refugees in Lebanon: challenges and solutions”, describes two research studies with Syrian refugees in the Beqaa region of Lebanon, setting out some of the challenges faced and the lessons learned in the process of conducting the research. The entire 72nd HE edition (accessible here).